From March 14th, 1938 until August 26th, 1939, the Wilhelm Gustloff took over 80,000 passengers on a total of 60 voyages around Europe! From March 23rd, 1939 to August 29th, 1939, the Robert Ley took almost 30,000 passengers on a total of 19 voyages. Over the course of the past 11 years, I have been working on a list of each liners voyages - an ever-changing work in progress. Currently, I only have a few small areas where gaps seem to occur as to where exactly each ship was at a given time. The Robert Ley's voyages have been much more difficult to track compared to the Gustloff's for some reason. 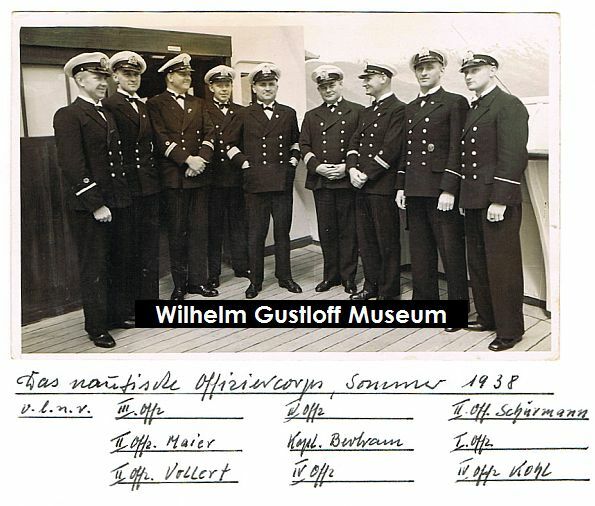 Shown below is the most up-to-date list on all of the voyages of the Wilhelm Gustloff and Robert Ley. If anyone has photos of menu dates or ticket book covers they would like to share, please send them to the email at the introduction. Be sure to include any other dating information found on the pieces. Your support is appreciated! As I was compiling the lists, I wondered what it would be like to sail on board one of these ships during a standard voyage. Intertwined with the voyage lists are original home videos taken aboard both liners during their 1938 and 1939 cruising seasons. Beautiful stern shot of the Wilhelm Gustloff - Norwegian Cruise. 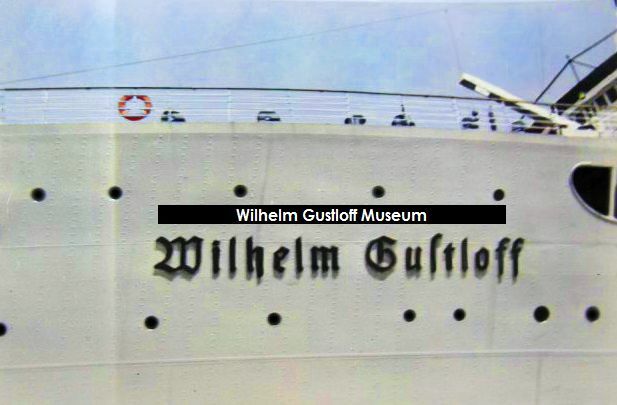 For those who want to just view the color footage of the Wilhelm Gustloff. 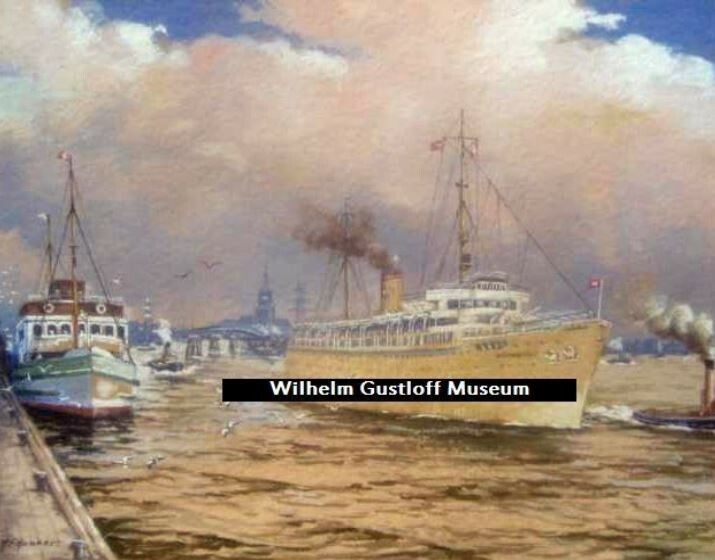 The Wilhelm Gustloff & Cap Arcona in Hamburg Harbor. 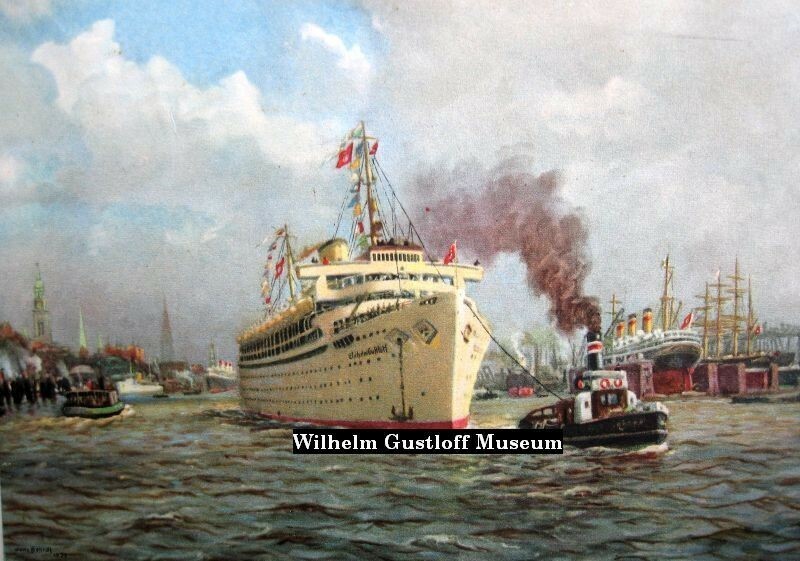 The Wilhelm Gustloff at sea. 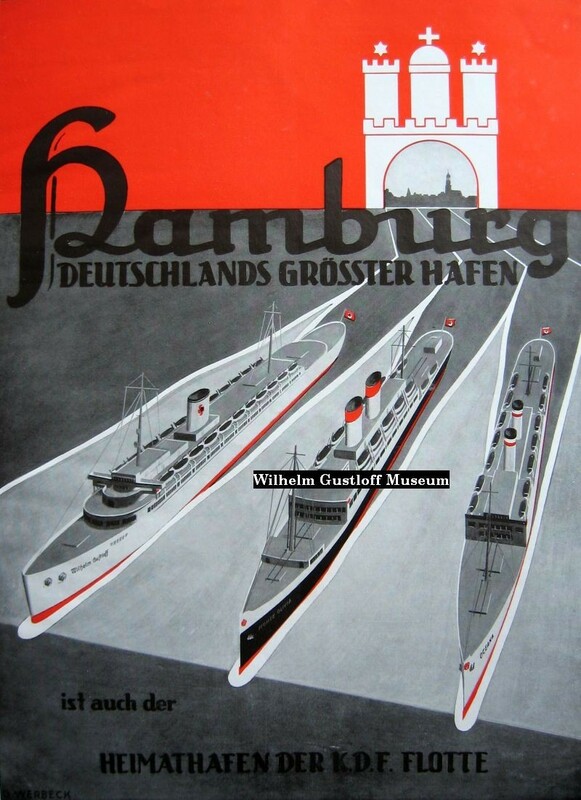 Above Left: An original 1938 Gustav Werbeck advertising poster for Hamburg and the KdF Fleet. Featuring the Wilhelm Gustloff, Monte Olivia, and Oceana. ​​​​​​​​​​​​​​​​​The Wilhelm Gustloff begins her winter route cruising around Italy. Voyage 19: Madiera, Tripoli, Naples, Genoa. *Longest voyage of her career. 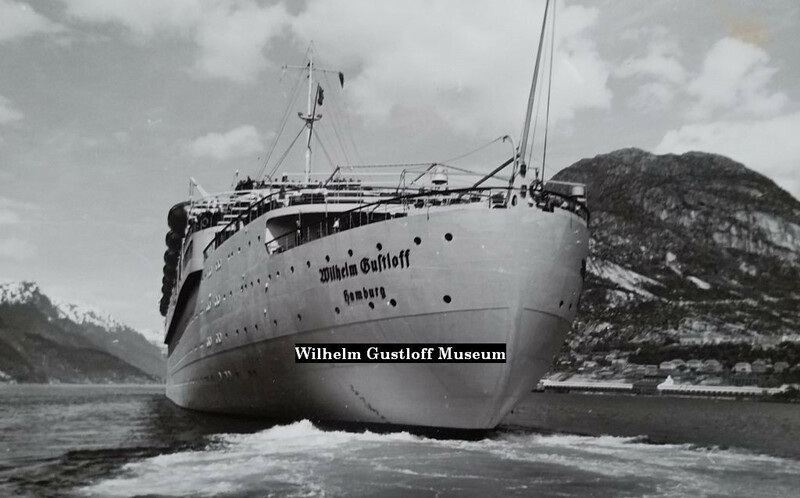 The Wilhelm Gustloff returns to her summer route cruising through the Norwegian Fjords. *Voyages 31 through 34 are estimated as I have never seen anything from these voyages. 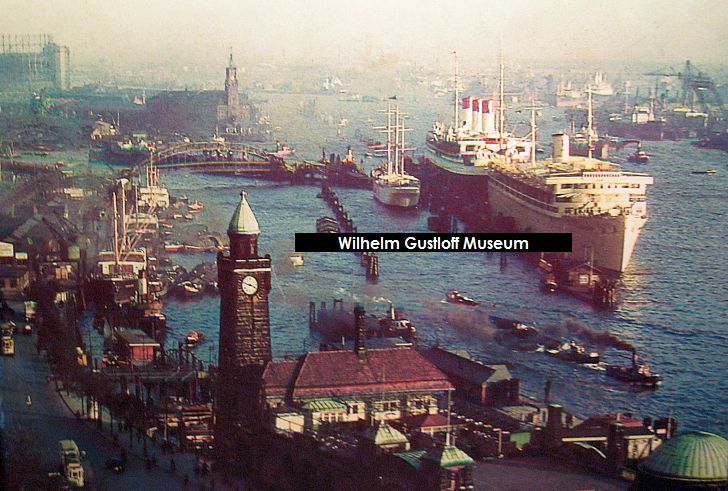 In addition, footage in April of '39 from the Robert Ley shows the Wilhelm Gustloff in dry dock at one point. Voyage 6: Norwegian Cruise (I have also seen this listed as Voyage #9). Voyage 12: Ostseefahrt der Gaue-Wein, Saarplatz, und Hamburg. 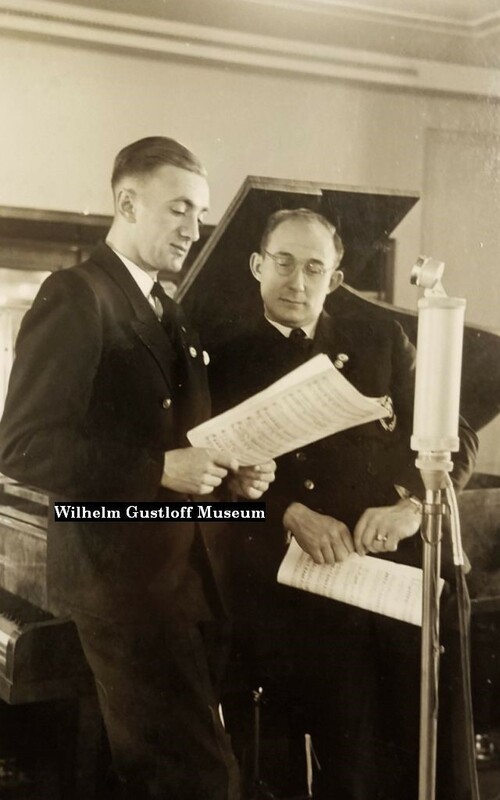 Images of the Wilhelm Gustloff & Robert Ley during one of their voyages. ​Original watercolor / gouche painting with frame and backing. 25cm x 32cm painted by A.F. Muaker? Back tagged Hermann Herforth, Kunsthandlung, Vergolderei, Altona E Konigstr 142/144. Purchased from the B. Niggl Gallery of München, Germany. Original oil painting on wood. Still in the original frame and backing. Another beautiful 70cm x 60cm painted in 1941 by A. Stehning. 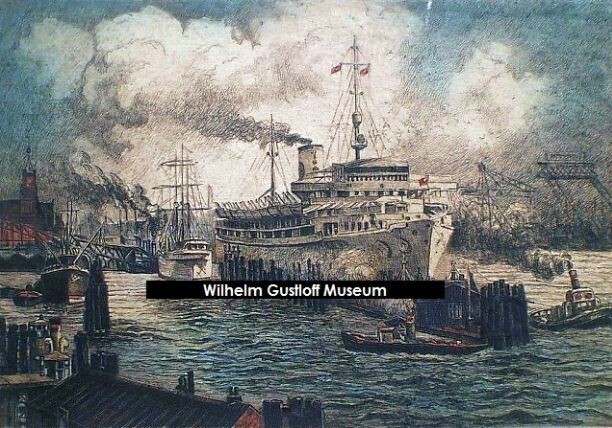 Inscription on the back reads: "Gustloff leaving Hamburg Docks, Painting. Copy of Prof. Hans Bohrdt." ​18cm x 27cm ink drawing with color. Artist unknown. Framed in its original frame. Mit KdF in südliche Meere Reiseeindrücke und Reiseerlebnisse zwischen Kassel und Palermo. 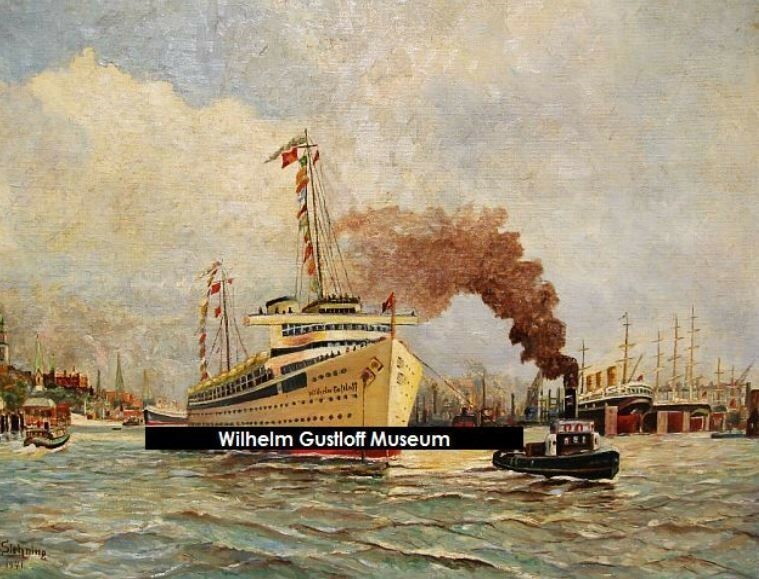 Mit Motorschiff "Wilhelm Gustloff" in der Zeit vom 28. Dezember 1938 bis 9. Januar 1929 I'm sonnigen Süden. 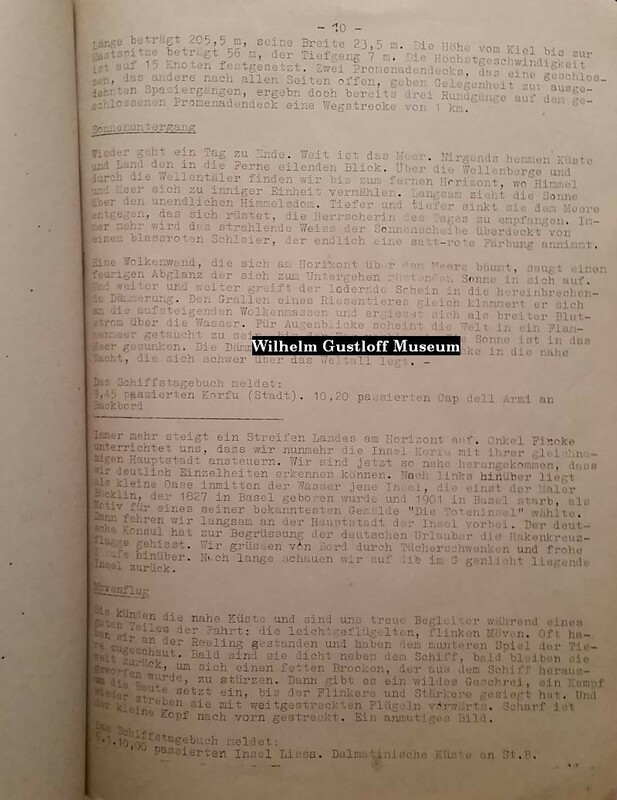 Reisebericht: Wilhelm Bleitner, DAF Kassel. With KdF in the southern seas. 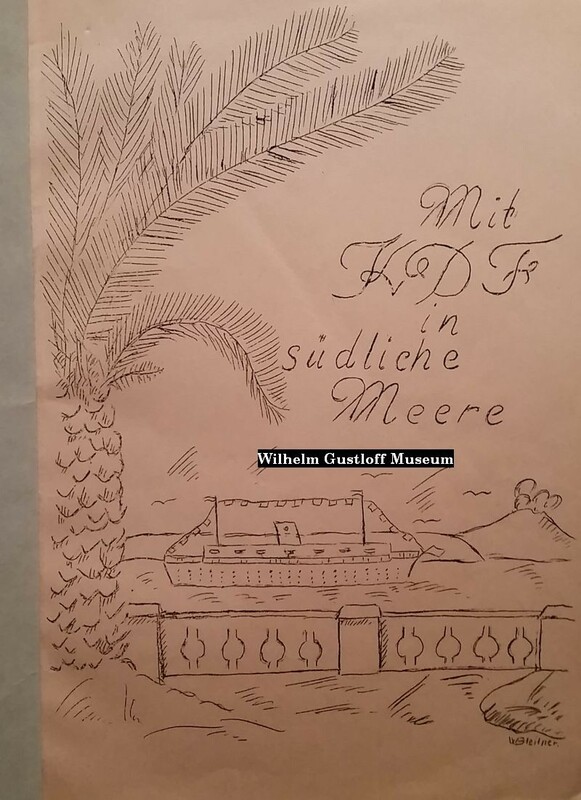 Travel impressions and travel experiences between Kassel and Palermp with the motor ship "Wilhelm Gustloff" in the period of December 28, 1939 to January 9, 1939 in the sunny south. 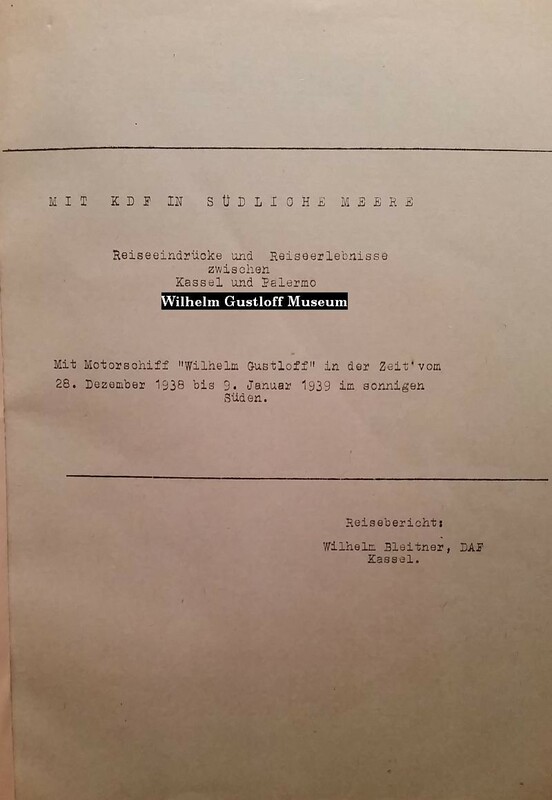 Travelogue: Wilhelm Bleitner, DAF Kassel.